I’m not entirely sure what’s going on in this Hobbs & Shaw trailer, but I do know it’s completely, utterly ridiculous and I would like someone to inject it directly into my brain. Thanks. They certainly doubles down on Hobbs’ sarcastic, sweaty, bravado-based sense of humor and while the entire Fast & Furious franchise has been a continual escalation to absurdity, Hobbs & Shaw takes things to a whole new level of WTF silliness. I mean, Idris Elba basically plays a genetically enhanced comic book super villain and dudes run down the side of a skyscraper. So, if you thought parachuting cars out of an airplane or a submarine breaching through the ice like a steroid-addled killer whale were as over-the-top as these movies get, boy howdy, were you ever wrong. Seriously, they go to god-damned Chernobyl. Directed by David Leitch (Atomic Blonde, John Wick), Hobbs & Shaw stars Dwayne Johnson, Jason Statham, Eiza Gonzales, Idris Elba, Eddie Marsan, Vanessa Kirby, and a bunch of crazy stunts and cars flying through the air. 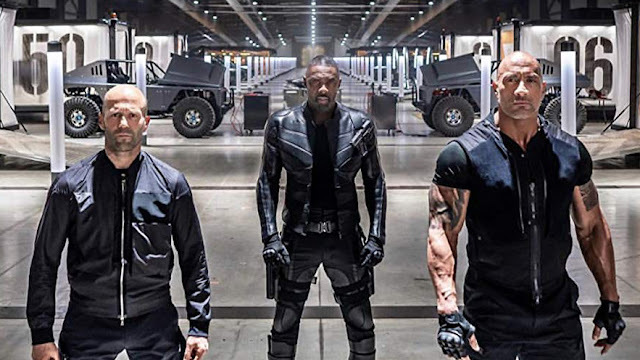 I have definite feelings about the clumsy retconning of Deckard Shaw so he’s a good guy now, but I’m still going to watch the crap out of Hobbs & Shaw when it opens August 2. 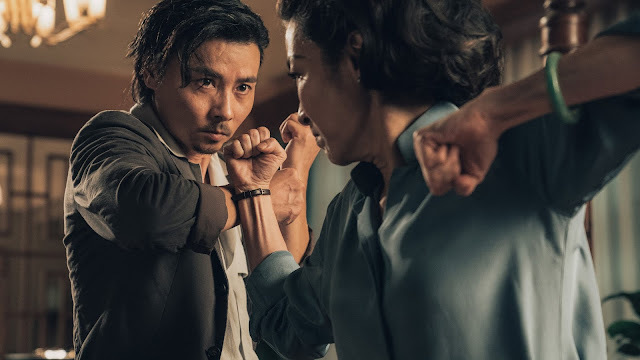 I’m just going to scream #JusticeforHan the whole time.